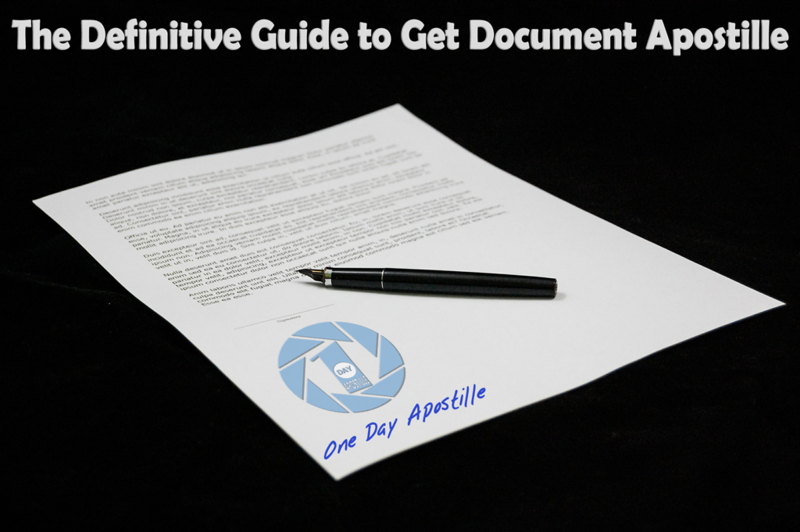 Apostille is the official form of authentication that is required to validate the use of documents outside the United States. Your document must be affixed with an Apostille stamp from the correct designated authority to be valid for use in any Apostille convention participating countries. If you are going to use your document in any of those countries, you will need to affix your document with an Apostille to be valid for use abroad. There are 2 designated authorities in the United States, which are responsible for the issuance of Apostille certificates on documents destined for use in the Hague Convention Signatory Countries. How to get an Apostille from the US Department of State? The document that need to be apostilled. The process will take about 3- 4 Business days. After your receive your package from the US Department of State, your documents will be ready for use outside the United States. How to get an Apostille from the Office of the SOS in your State? Each State has a Secretary of State office, which is responsible for the issuance of Apostille Certificates on public state documents (the above mentioned documents). You will need to follow the requirement of your state in order obtain the Apostille timely and without any complications.